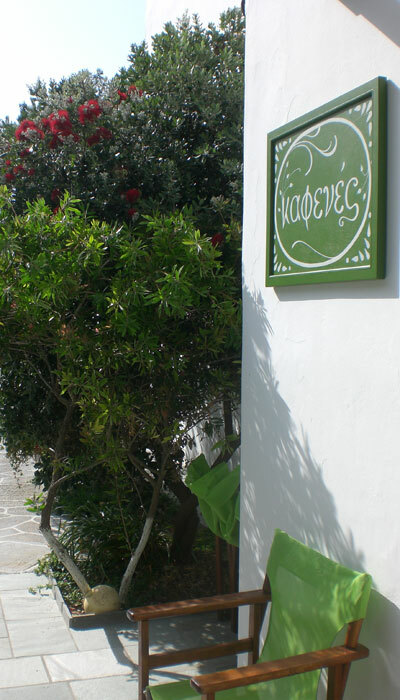 Our bistro-style "Kafenés" restaurant is a quiet corner on the hotel terrace offering distinctive mezedes as well as full meals. 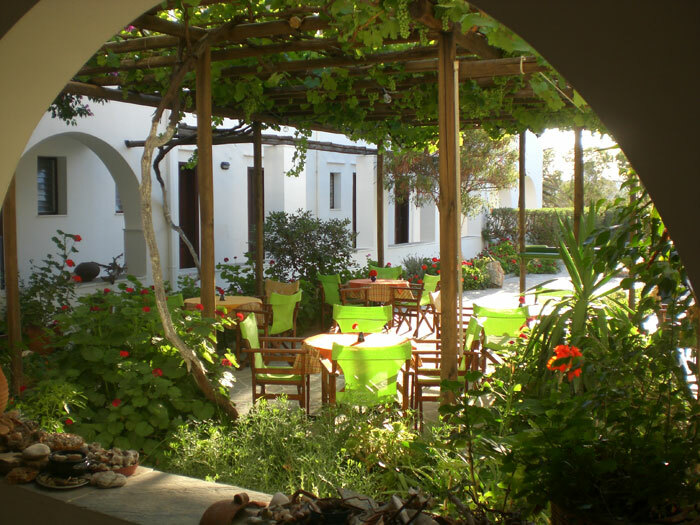 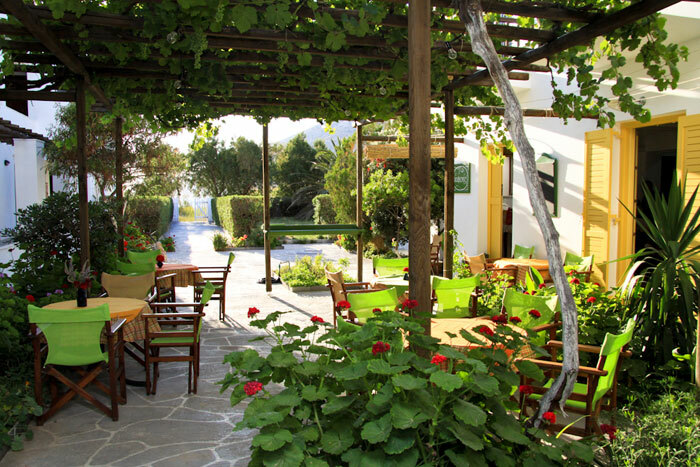 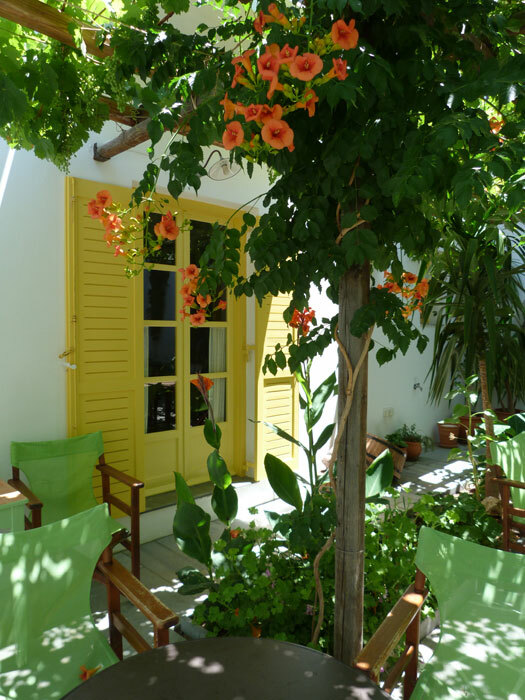 Only a few meters from the beach, yet far from the madding crowd, awaits the "Kafenés" nestled in the garden and shaded by the pergola and grapevine. 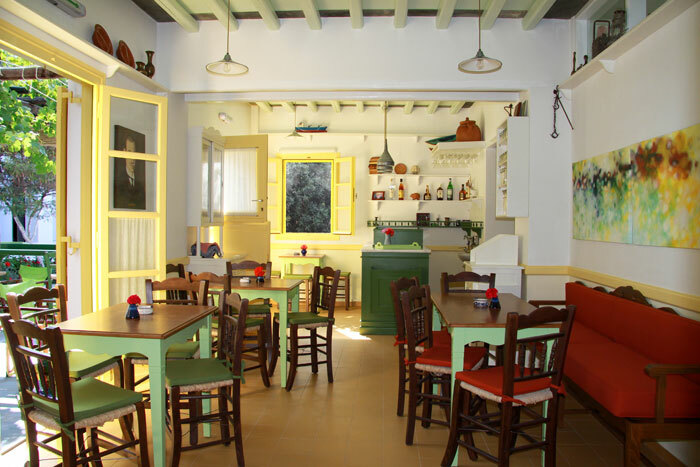 There is also a cosy indoor area for the winter regulars. 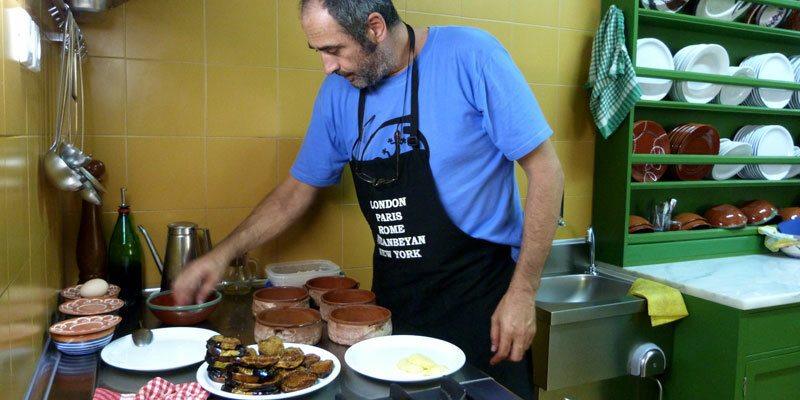 Cooks and hosts are Andoni and his elder daughter Kassiani, with younger daughter Margarita helping whenever she can. 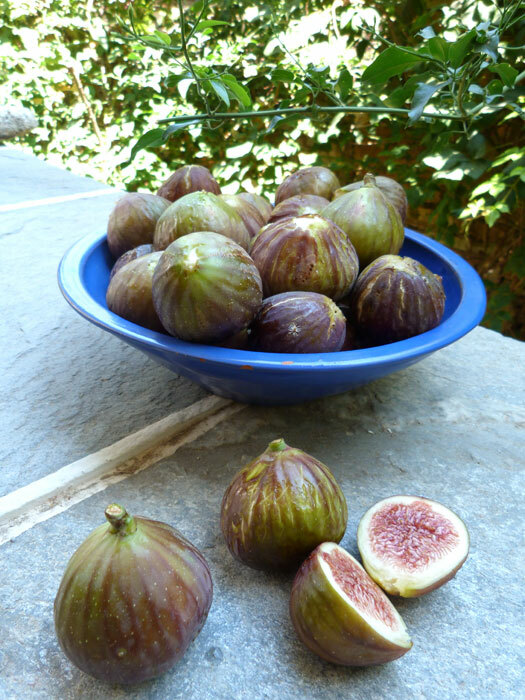 During the winter months, when time allows, Andoni and other members of his family are involved in agricultural work (sowing, plowing, milking, cheese-making, etc.). 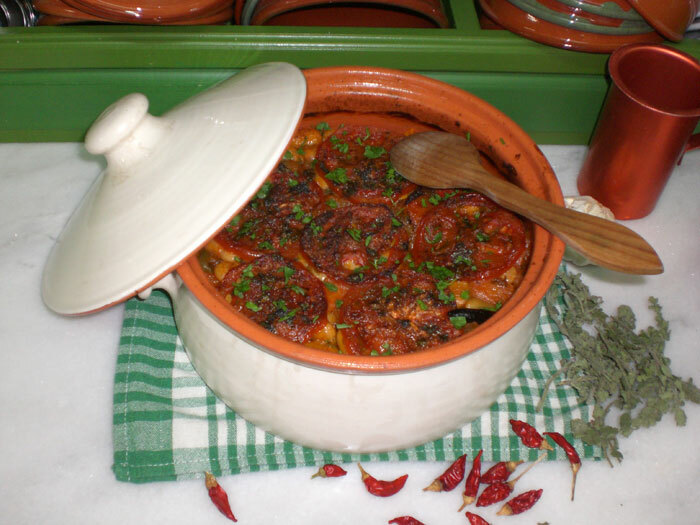 Sausages are made and smoked, as well as bacon, smoked pork, pickled fish and other unique appetizers to accompany tsipouro, wine or beer. 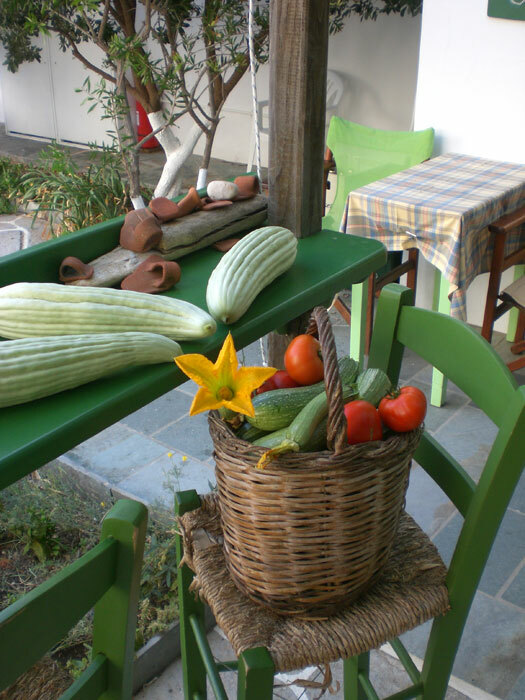 In the "Kafenés" our vegetables are always fresh and many are from our garden - beans, beets, tomatoes, cabbage, etc – depending on the season! 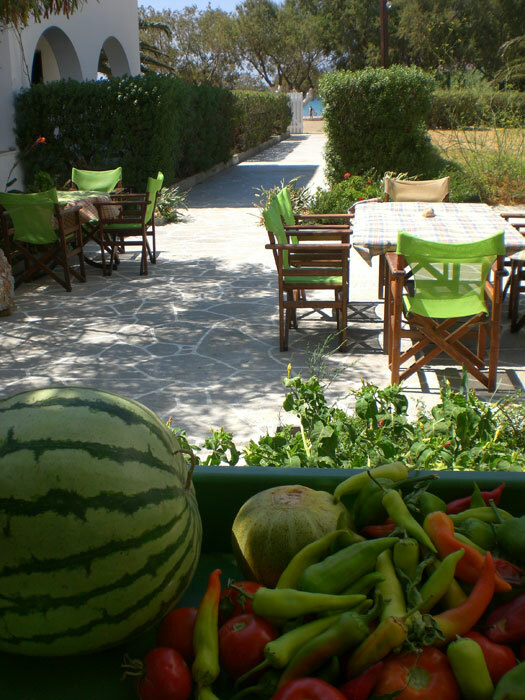 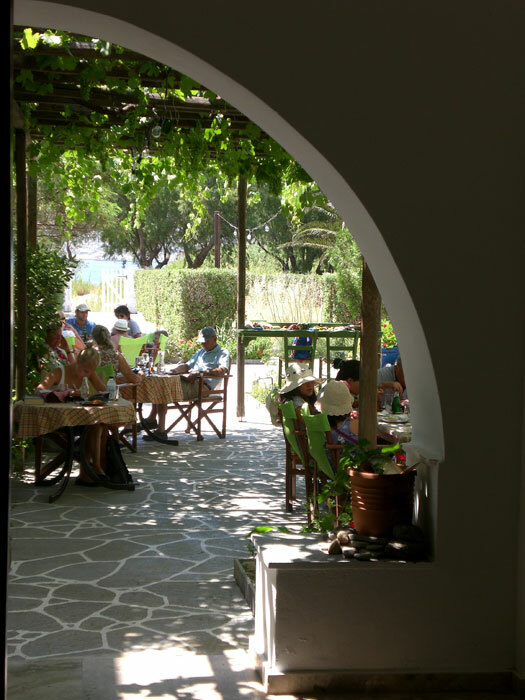 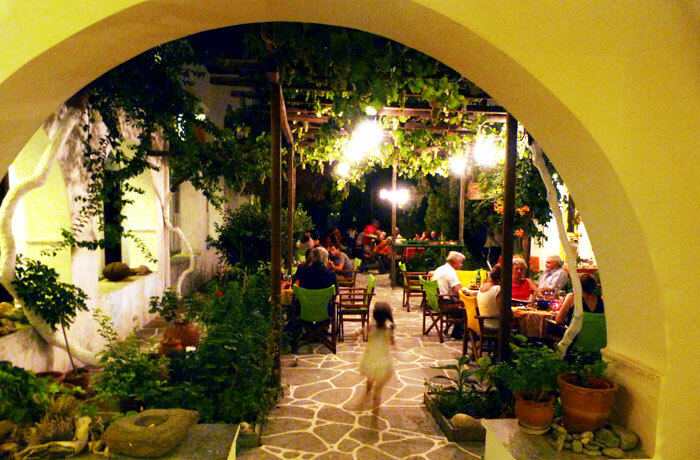 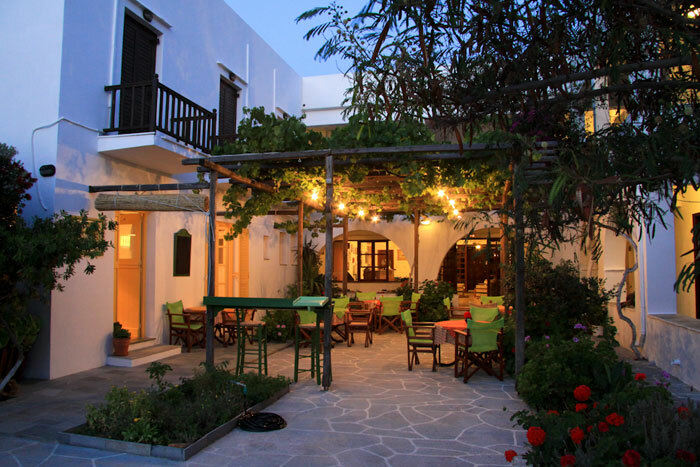 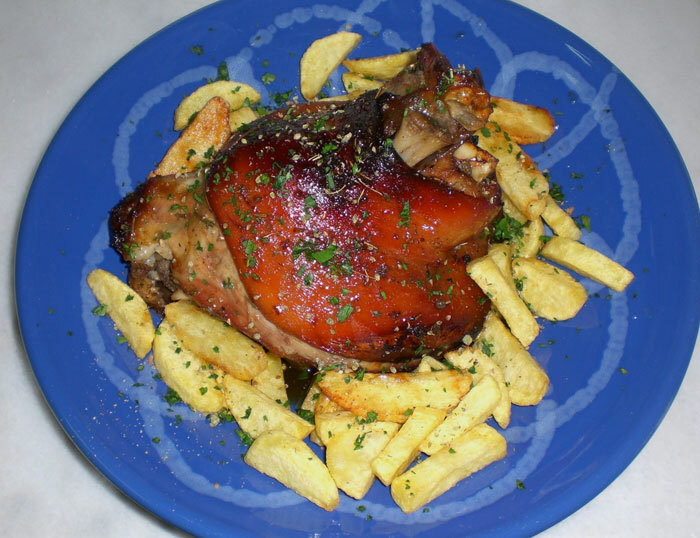 We cook traditional Sifnos and Greek specialties, local fresh fish, pasta dishes, and even some unusual dishes such as wild goat. 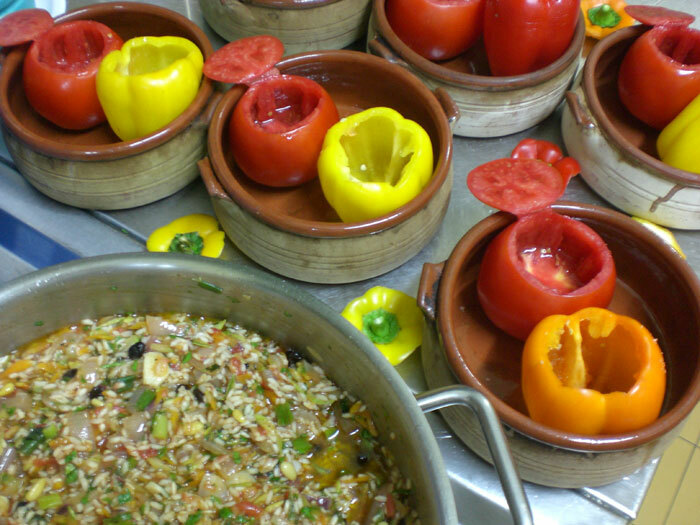 Our secret is that everything is homemade, including the accompanying sauces, dips, sun-dried tomatoes, etc! 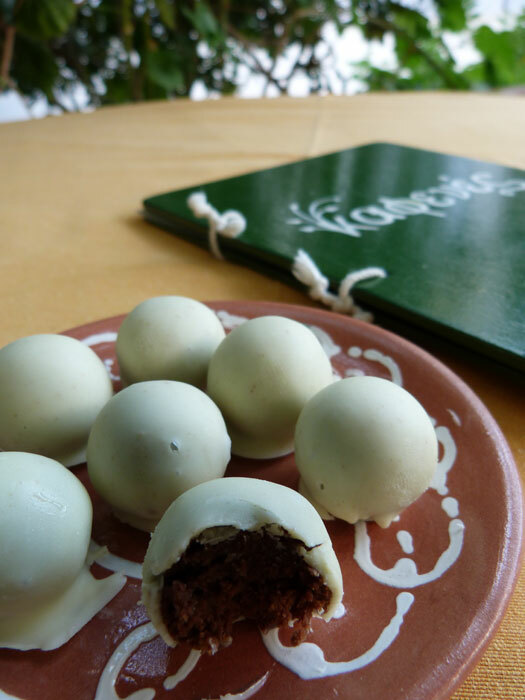 Try our flavoured liqueurs and fruits in syrup, Lyn’s homemade chocolates or the other delicious desserts made by Kassiani and Andoni! 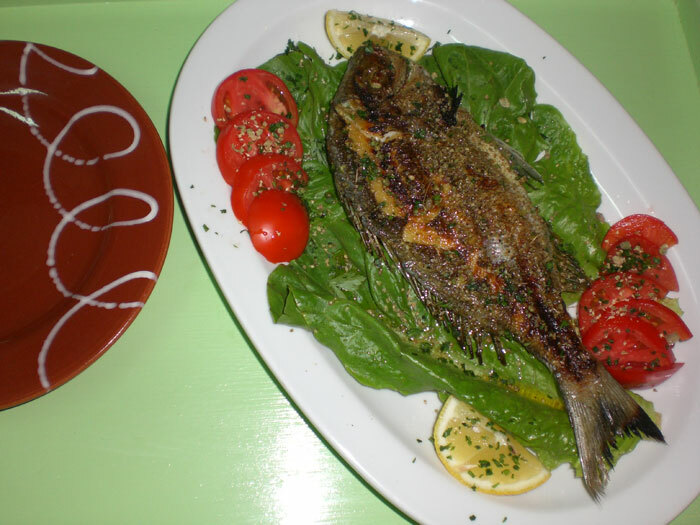 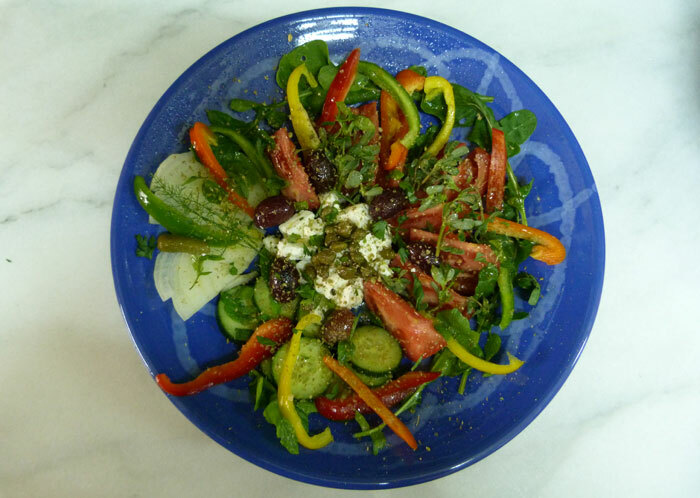 Special orders that are not on the menu can be arranged following consultation with the chef.